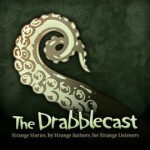 For those looking for more audio fiction, here’s a podcast you might not have heard of: Cast Macabre. They started up in mid-2010, and filled a nice horror fiction gap while Pseudopod was on hiatus. It didn’t take too long to get caught up, as they’re only 28 episodes in. And in case you’re really pressed for time, here’s a top five for you. They’re also running classic stories, including Bram Stoker and H.G. Wells. On November 9, 2009 I posted my very first “Best Of” podcast list, the Best of Pseudopod, which was based on Pseudopod episodes 1-167 and flash episodes 1-22. Well, I’m still listening and still enjoying myself, so I figured there’s no reason I can’t make another list. I expect this will become a yearly thing, and will usually cover everything within 1 calendar year. This one will be a tiny bit different because a bit more than a year has passed since my last, which is why this is 2010+. It will cover episodes 168-219, 60 stories total (because there are a few episodes with more than one story). Now, keep in mind that StarShipSofa is a rather different format from the other podcasts I’ve reviewed so far. The other ones have been entirely fiction-focused, generally with an intro, the story, and the outro. This one goes for a more well-rounded aesthetic, which is good or bad, depending on what you’re really looking for. For the purposes of this list, I am only going to include the main fiction, and only stories which I did not first hear somewhere else. Not that there’s anything wrong with more than one podcast running the same story, I just want these lists to be about suggesting new fiction, so I don’t want to list the same stories over and over. Without further ado, here is my Best of Drabblecast list. For the purposes of the list, I’ve only included the feature stories in the list. It’s not that I don’t like drabbles or twitfic, but even though I enjoy them, fiction that short doesn’t leave a long-lasting impression because it’s over before I’ve really gotten the story congealing in my brain. I’ve listened to every single Escape Pod story that’s been published to date, 239 full length episodes and many flash fiction extras. iTunes estimates 6.5 days of audio for all of this. And from all of those stories, I’ve picked my top 10 ranked favorites, along with 6 more that almost made the list. In truth, there were a lot more that I would’ve liked to put on the list, but I really wanted to keep it at a top 10, not a top 100 or 200. Podcastle is a podcast of fantasy stories, which I’ve been listening to for the past couple of months to get caught up on their backlog. They’ve provided a whole lot of great stuff for free distribution. They do ask for donations, but they are not required to listen to their fiction. Now that I’ve listened to all of their episodes, I’ve made a list of my top ten favorite episodes (and some honorable mentions that almost made the list). Since July I’ve been plumbing the depths of Pseudopod’s backlog and now I’m sad to say I’ve listened to everything they’ve offered to date. Now I only get one new Pseudopod a week like the rest of the world (released every Friday). But now that I’ve listened to all of Pseudopod’s offerings, I feel qualified to make a list of the Best of Pseudopod, my top ten favorite stories that have been posted to the site (and a few that ALMOST made the list). If you think you might want to give this audio fiction thing a try, these stories are a great place to start.